I know Ramadan is long way off, June 2017. 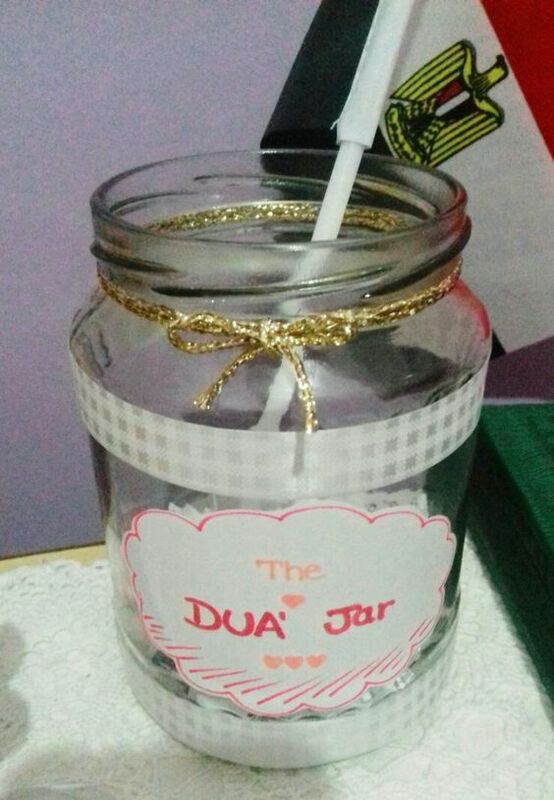 But it's such a cute idea I thought I'd share it lest I forget later It's called the Dua Jar. You need an ordinary jar, crepe paper, sequins, ribbon, glitter and any other decoration materials of your choice. You can get plenty of ideas if you look around some dollar stores. Prepare 30 dua paper strips for each day of the month. Fold the strips and slip them inside the jar. Start with selecting 30 Quranic duas, write each dua on a separate slip and then put all 30 slips inside the jar. Pick one every day, preferably in the evening .. any time .. before Iftar / dinner, after Iftar / dinner, before or after Isha. Your choice. The entire family, parents and children, should participate in this brief dua session together by sitting down in some comfortable corner of your home. 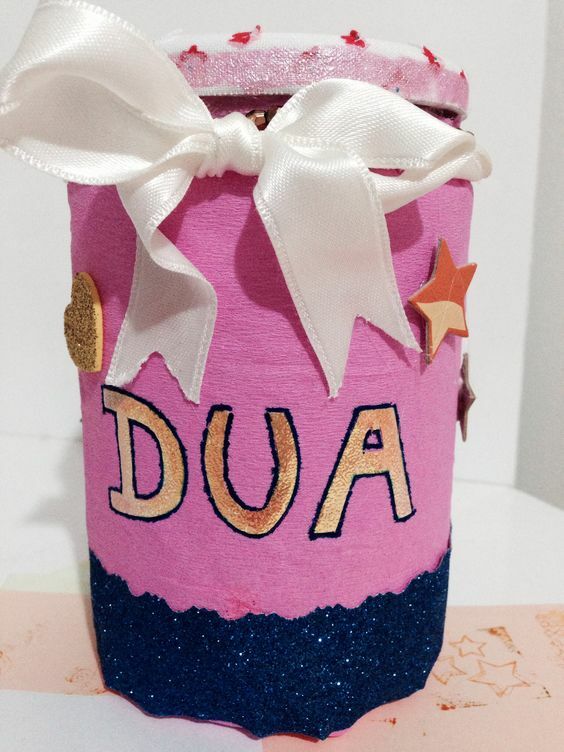 Let the kids conduct the dua - one kid each day - by putting their little hands inside the jar and picking a dua slip. Then let that little one read the dua aloud, everyone listen carefully, and say "ameen" together after the dua has been read. Make sure you kids understand the dua they read. After reading each dua, ask them if they have any questions. It's always good to say a few good things to them about life after they have recited the dua. Appreciate their interest and hard work and be generous with your compliments to them. Okay. That's the dua session for every single day of the month. Also remember to have another jar by the side of the decorated one. 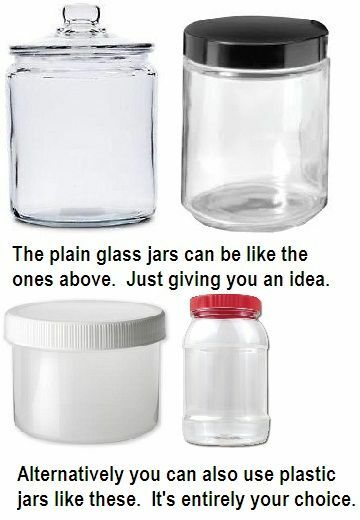 Let this jar be plain as in the image of the plain glass jars so it's easily distinguishable from the attractive dua jar. Every dua slip that's picked each day and read, should be slipped inside this plain jar and kept aside, so that all 30 duas are recited throughout the month. At the end of the month, you can put all 30 dua slips back into the decorated jar to begin the dua sessions again for the following month. If you have the time to make new dua slips with new Quranic duas, that would be wonderful. 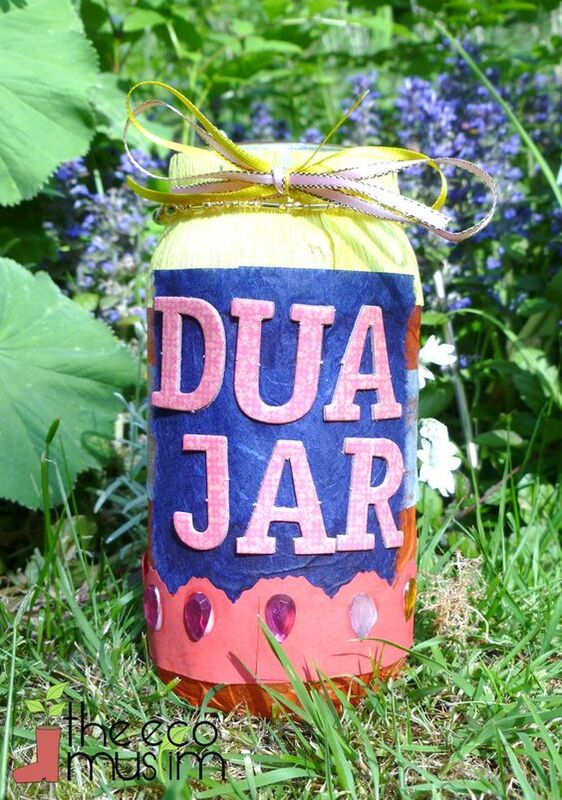 You can mix the new duas with few of the previous ones to make the total to 30 and fill the decorated jar. Similarly, you can also have dua sessions with extra-Quranic duas but make sure those duas are fully and absolutely compatible with Quranic values and principles. You should keep the decorated & plain jars for Quranic and extra-Quranic duas as separate sets. Don't mix up Quranic Duas with extra-Quranic duas. 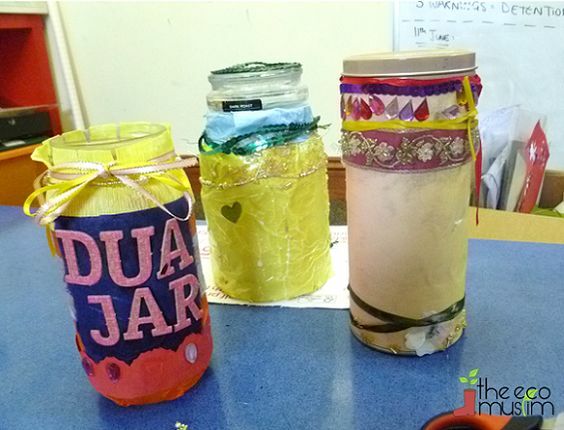 Some families with young children have the dua jar sessions only as a Ramadan project. Well, to have it on this month is most essential. But it would be still better if it's made a permanent part of the household schedule ... at least definitely until the kids are minors below 18. It's a great way to build a strong spiritual foundation and to help children keep up their interest in the Quran. By the time they are 18, this practice will help to strengthen their Faith and knowledge greatly. After all, the purpose of Ramadan is to build good habits so that we can establish them as our way of life on all months of the year. The good things we learn during Ramadan are not meant to last just for one month, right? They must be permanent. Some moms and dads have asked me what's the purpose of decorating the dua jars instead of opting for two different looking plain jars. Yes, of course nothing wrong with that at all. But the purpose here is to make the event as exciting for kids as possible. 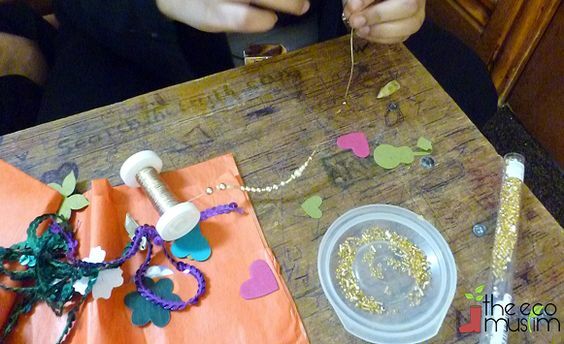 And something that gives little children the chance to show off their talent on arts & crafts will help still more to hold their interest. It's for this reason that we suggest they pick a dua from the jar every day instead of the parents marking on the calendar which dua to be recited each day. Some kids may not find that too exciting. The idea of picking a dua every day with the entire family makes the occasion more enjoyable for them. And I'm sure it's just as thrilling for adults. Aw! This is so, so lovely Thank you dear Sis. Excellent idea. My folks would be delighted to start this. I suppose it's better to have at least 2 or 3 decorated jars with varying decorations so that the kids can keep changing them every month instead of the same jar everyday of every month. So sweet and inspiring. These are the initial foundations that can turn a believer's home into a little earthly Paradise. Alhumdulilah ya Allah.